Why should we learn about computer parts? I know that many of us understand about computer and their systems well. On the other hand, there are people who think about fixing and upgrading their computer only after something goes wrong with the computer system. They would like to work on it but are not ready to maintain and upgrade it. This site is for those who know a little about pc components and their systems, but have an interest in learning more. You can repair, upgrade and maintain even build your own computer. All you have to do is … learn how computer parts work together and how they can be maintained and upgraded. As for me, I don't take my computer to the repair shop. I fix 95% of my pc problems at home. How do I do it? I Keep learning about computers and how the parts function together. Once you grasp the basics of each part, it will be easier for you to maintain your computer. Plus, you will save time and money. Remember, if you have an interest in knowing about computers and computer parts like me, all the rest will be easier to handle. REALLY... you do not have to be a ‘techie’. Get a free how to format computer guide here! Would you like to share your knowledge about computer parts? 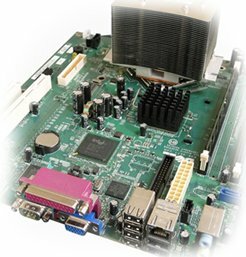 Contribute to www.all-about-computer-parts.com!